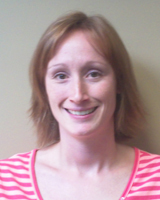 Kristi joined GRSM in September 2013. After completing her Occupational Therapist Assistant/Physiotherapy Assistant Diploma at Conestoga College, Kristi has gained experience from hospital, clinic and long term care environment. In her free time, Kristi enjoys reading up on proper health and nutrition and loves being involved in participating in activities such as soccer, women’s hockey, weight training and jogging. She also enjoys cooking baking and spending time with family and friends.